Radical Firearms AR-15, 4310rds LATER – Another one bites the dust! Radical Firearms AR-15, 4310rds LATER – Another one bites the dust! I had high hopes for this rifle, but it just shows you that 5k rds test is brutally honest…Perform Or Die! 5000 rounds stress tests, set the new standard for rifles testing. These tests are simply “golden mine” of unbiased information about rifles performance and wear of those rifles internal components. We want to continue to go this path, to give AKOU members the best feedback possible on tested rifles. 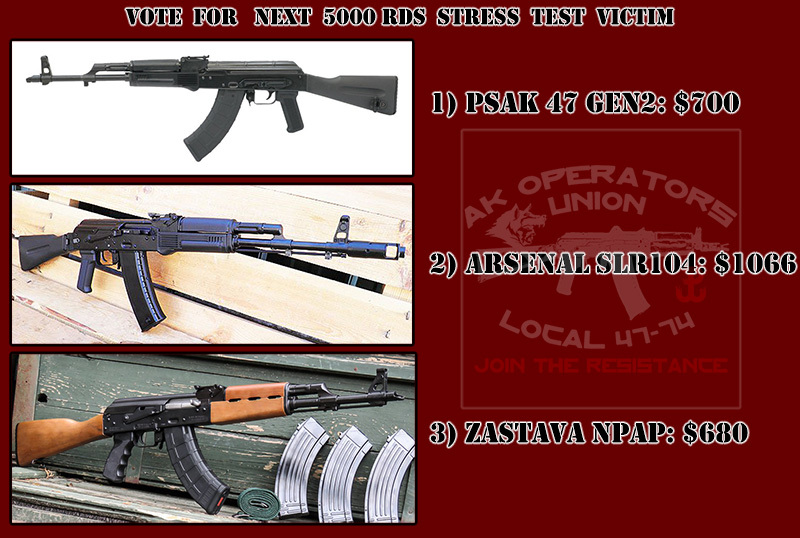 So, it is time to give Power To The People again – 5000 Rounds Test – Next “Victim” Selection Vote (3rd Edition) starts now! THOSE WHO WILL DONATE OR MAKE A PURCHASE AT AKOU STORE DURING THE VOTING PERIOD (AND ONLY THOSE), WILL BE AUTOMATICALLY ENROLLED INTO THE GIVEAWAY*! *If rifle will survive testing and it will be still operational and safe to use! Radical Firearms AR-15, 4000rds LATER! Inter Ordnance AK47, 1000 RDS Later – Yeah! Radical Firearms AR-15, 3000rds LATER! Some surprising results…Radical Firearms review below! 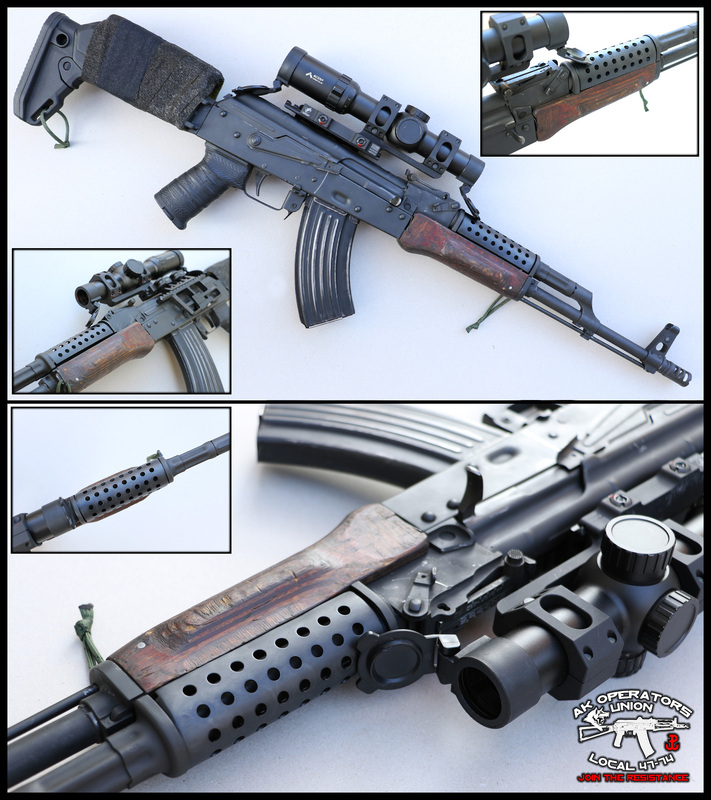 Arsenal SLR107 5000rds Later – This is the end! Giveaway too!!! SLR107 5000rds Later – This is the end! Giveaway too!! !